As Summer begins, there are 26 condos for sale at Allure Las Vegas. The developer's penthouse is for sale on the 40th floor for $1,700,000 in over 2000 sq. ft. You can view the penthouse listing HERE. Aside from that, the other 25 listings range in price from $229k to $539k for an 1800+ sq. ft. end cap condo. What has sold in Allure in the past 90 days? The top floor penthouse for one. Listed and SOLD at $1,697,200 in 4237 sq. ft. This equates to $401 per sq. ft which is a record for Allure Condos. Allure remains one of the high rise condos with the lowest sales prices per sq. ft.
7 other condos in Allure have sold in the past 3 months and these range in price from $240k to $370k averaging around $ 225 psf. These sales prices per square foot are way below duplication costs. There are 5 condos under contract and in escrow as of this writing. They range in price from $170k to $248k. Bottom line is that if you are looking for a very affordable Las Vegas Luxury High Rise Condo, Allure will fit that bill. 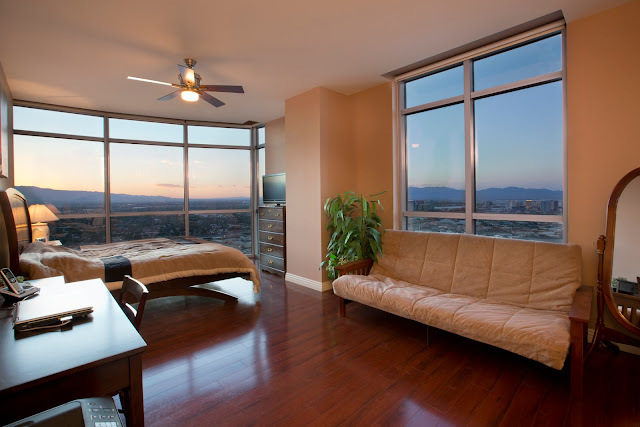 What condos are currently on the market in ALLURE LAS VEGAS? Things Are Looking Up for Allure Las Vegas Condos!